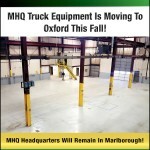 MHQ is pleased to announce that we have been awarded the VEH98 Vehicle & Equipment contract. This contract includes over 10 Ford vehicles including the Interceptor Utility and associated equipment for all vehicles included. 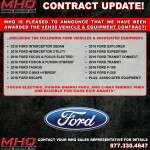 Contact your MHQ Sales Representative for more details on the VEH98 contract and what MHQ can do for you.